During this edition of the PCI Film Series, Dr Domitilla Olivieri will introduce two documentaries by director Marc Isaacs. For Lift, Isaacs installed himself in the lift of a typical English tower; and for ten hours a day, over two months, he would ride up and down with the residents, with his camera pointing at them. As people start talking to hi, we discover their lives. The film portrays the life in a high-rise building in London and implicitly engages with questions of cultural encounter, class, everyday urban life, and the sense of home. 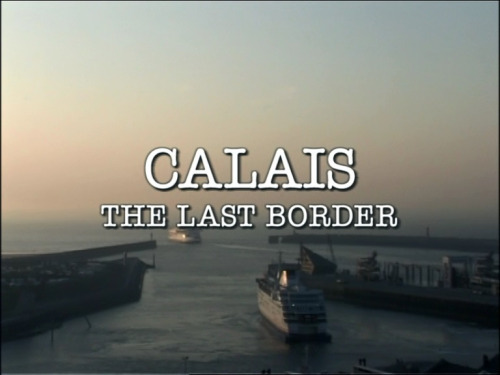 Calais, the Last Border takes place in the French port town of Calais. For many English citizens, this is the gateway to Europe or a place to buy cheap alcohol. For hundreds of migrants it is the final barrier in the desperate search for a new life in England. This intimate film weaves together character driven stories of refugees, migrants and English expatriates to build a picture of life in a transient town where the inhabitants dream of somewhere better.